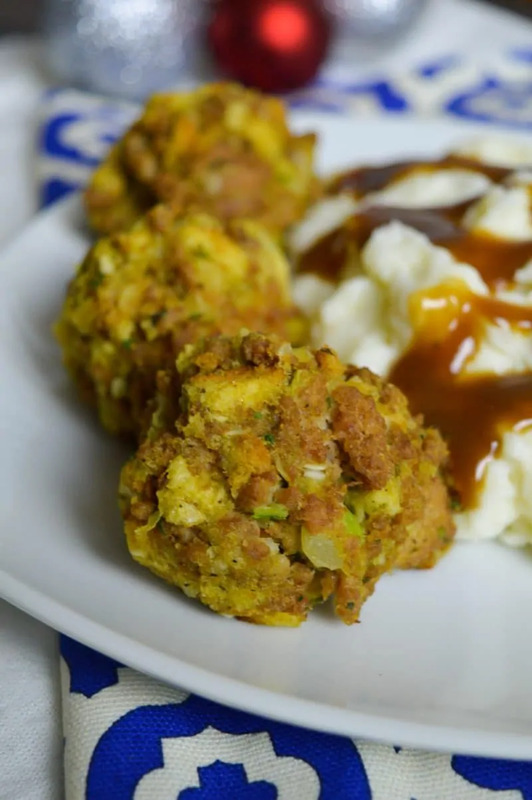 If you’re looking for an easy appetizer to bring to a potluck or holiday dinner, these Turkey and Stuffing Balls are a wonderful option. Let’s face it. Many of us can’t wait to sink our teeth into that delicious Thanksgiving dinner. The flavors of turkey, sage, and onions is a combination that’s hard to beat. Instead of torturing yourself, why not make a fun recipe that has some of the flavors of Thanksgiving, but without all the hard work? 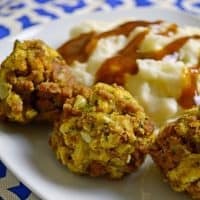 These Turkey and Stuffing Balls are easy to make and sure to be a big hit with anyone that loves a turkey dinner. This recipe goes together so quickly. It’s perfect for a cold fall evening when you want something hearty, but don’t want to put a lot of work into the meal. While this is a great recipe to hold you over until Thanksgiving, it’s also perfect for any time during the fall or winter. Another plus is that you can find almost all of these ingredients on sale during the holiday season. That makes this recipe super affordable to make. Grab the ingredients and give this recipe a try. Chances are you’re going to love it and make it over and over again. In a large pan, heat oil over medium high heat. Add in turkey meat. Brown 5-7 minutes, drain if necessary. Add in onion, celery, salt, pepper and sage. Continue cooking for an additional 2-3 minutes, or until vegetables become tender. Remove from heat and allow to cool for 10 minutes. 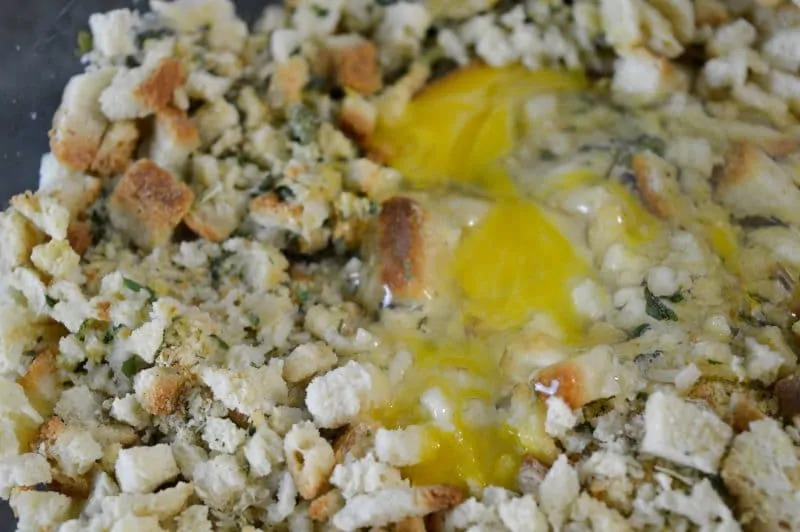 In a large mixing bowl, add in stuffing, eggs, and water. Mix together. 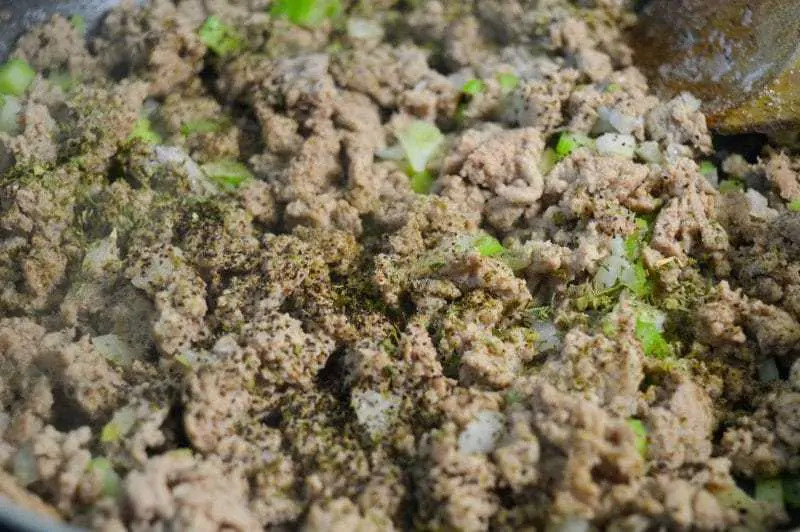 Gently fold in meat. Then, create quarter cup amounts of balls. Add balls to grease lined oven pans. Bake for 9-11 minutes, or until a golden color. 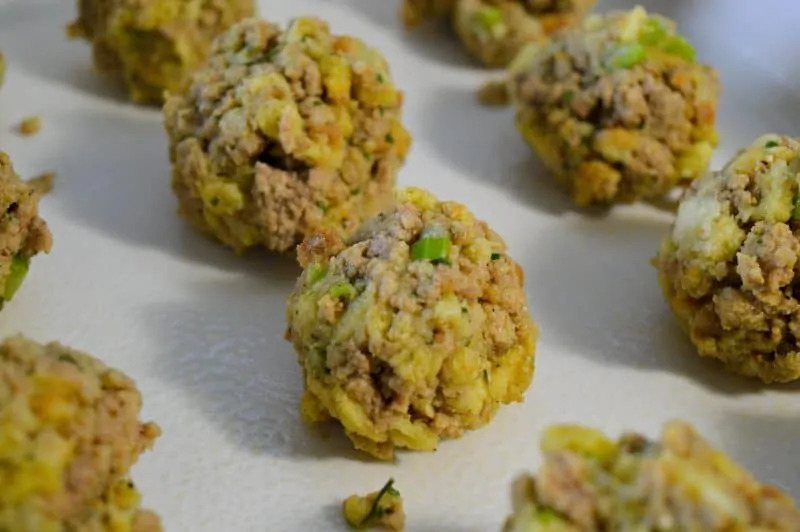 Allow balls to rest for a few minutes before serving, so to not have them break. That is it! Pretty easy, huh? I hope that you enjoy these delicious Turkey and Stuffing Balls! May I suggest serving them up with some mashed potatoes and gravy or simply a small bowl of gravy for dipping? They are amazing when dipped in gravy. Comfort food at its finest! Create quarter cup amounts of balls. Add balls to grease lined oven pans. Bake for 9-11 minutes, or until a golden color. What a great idea I love this would be a great appitizer also I’m gonna do a trial run on these with my family and see what they think. Thanks for the recipe. This is a great idea especially because most people at my house do not like stuffing. I feel like I could make these and not have a ton of leftovers! i AM GOING TO TRY THESE ON LEFTOVERS.. 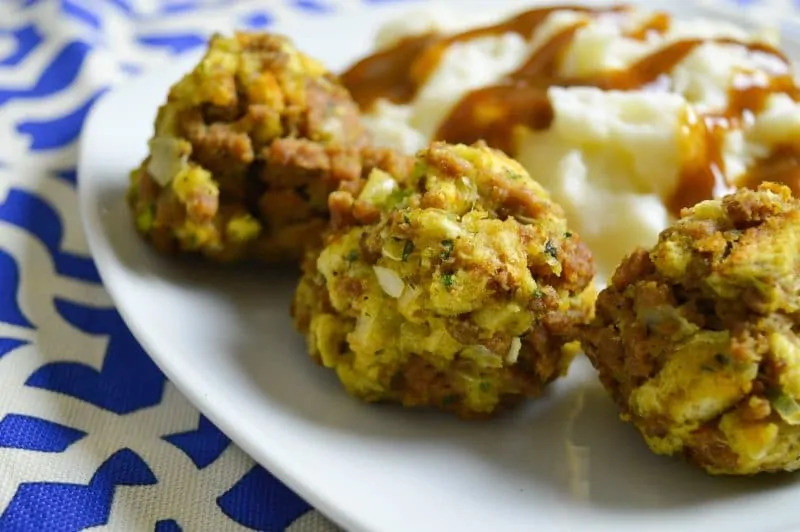 I love stuffing balls and these look awesomw. Thanksgiving will be here before we know it! These are such a great appetizer idea! Definitely going to do make these this year! 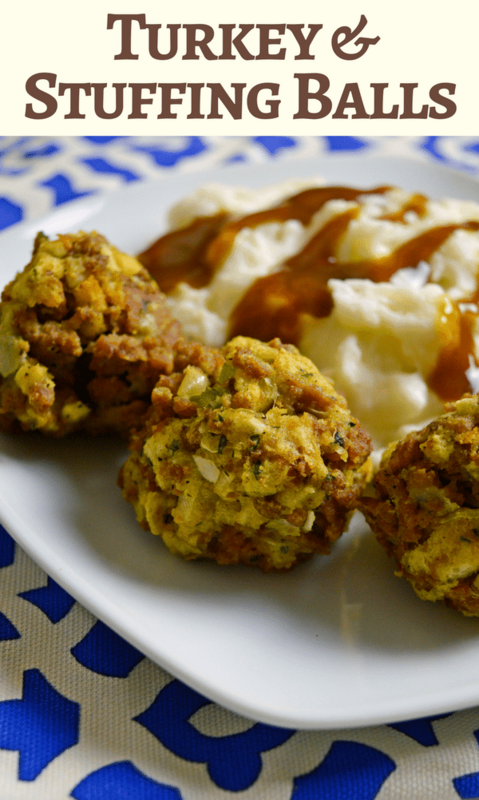 Good morning, your turkey and stuffing meatballs look wonderful. I could take them to our Holiday potluck at work. They look so simple too which is a bonus for me. Simple is always better when you have to make several. My husband would happily snack on these. Anything with stuffing is good with him! Oooh, this looks SO good! Would love to try this. Is good food and this looks like one of the BEST! Thank you for a great recipe! I’m glad to know I’m not the only one thinking about the holiday season! These meatballs look delicious, and yes, they’d be the perfect appetizer for a holiday meal. Pinning!